Te Araroa - is it really all over? I'm back in Wellington and slowly absorbing the fact that my walking life for the last 6 months has now finished. I couldn't even sit down until now and update these blog pages with the final few days as that would've meant that my huge adventure would actually be over. It is such a weird feeling as I keep thinking there is something I'm supposed to be doing - but then have to stop and say to myself, 'actually you're finished now. Done. Complete. Ended. It's over'. Part of me does not want to let it go, and yet I'm relieved it has finished. 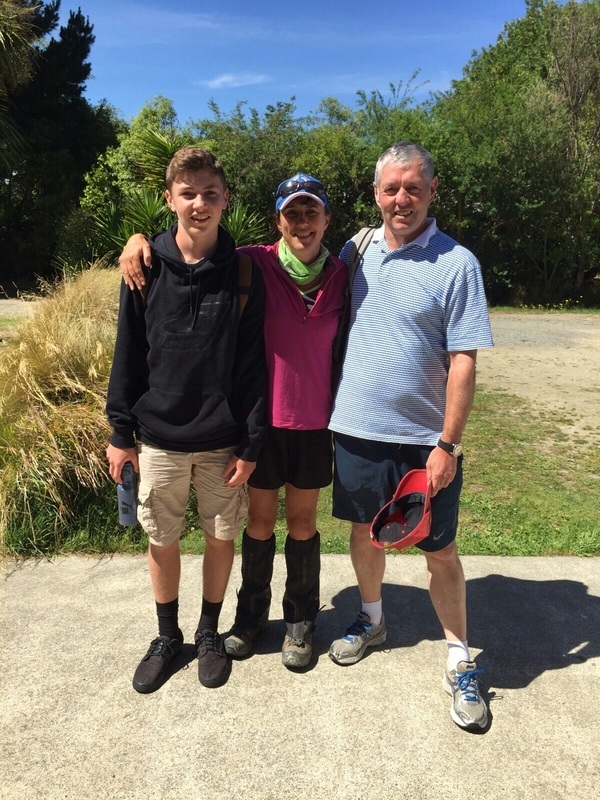 I really liked what the Te Araroa challenge did for me - it brought out the very best of who I am while I was away and I want to be able to keep that momentum going, so I guess this will be my next challenge to keep that person 'front of house' at all times. Since being back I've also found it is actually very difficult to stop physical activity when you have been so highly active everyday and I'm finding myself walking into town, going for runs during the day and am overall generally fidgety now that I'm back in Wellington. Probably not a bad thing that I keep up the fitness levels and make it more a priority in my future world. The people I met while walking through New Zealand have really given me great confidence that overall we are such a positive, hospitable nation of people. I never had a direct bad people related experience when I was walking or staying anywhere in the last 6 months and never felt I had to worry about my safety. The only odd thing was being left at a bus stop with the bus driving past me on one of my loop catch up sections in Mercer. Other than that one instance, I have never felt so humbly grounded and thankful for the kindness people have shown me. Even on that one occasion with the bus, someone then went totally of their way from their home to drive me to where I needed to go. The support from strangers has been beyond belief. 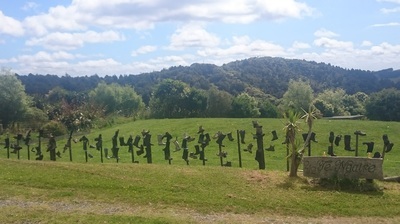 All the international Te Araroa walkers and fellow Kiwis I met along the way were such inspiring, unique people and I really felt I was travelling the world in my own country every day. I just loved the variety of the people and the different approaches they brought to a very challenging journey through New Zealand. The conversation and laughs we had kept spirits high during some tough days and I learnt a lot about humanity. Friendships and bonds form quickly when you are in extreme circumstances - hunger, tiredness, unwashed bodies, limited privacy, basic tolieting, dangerous terrain and challenging weather conditions strip people right back to the raw core, so you met the real person, not their outside world package. A great learning experience of tolerance and acceptance. My family and friends have been a huge part of the success of my walk. Their love, encouragement, friendship and company while walking parts of the trail has been energy beneath the soles of my feet many times along the way. 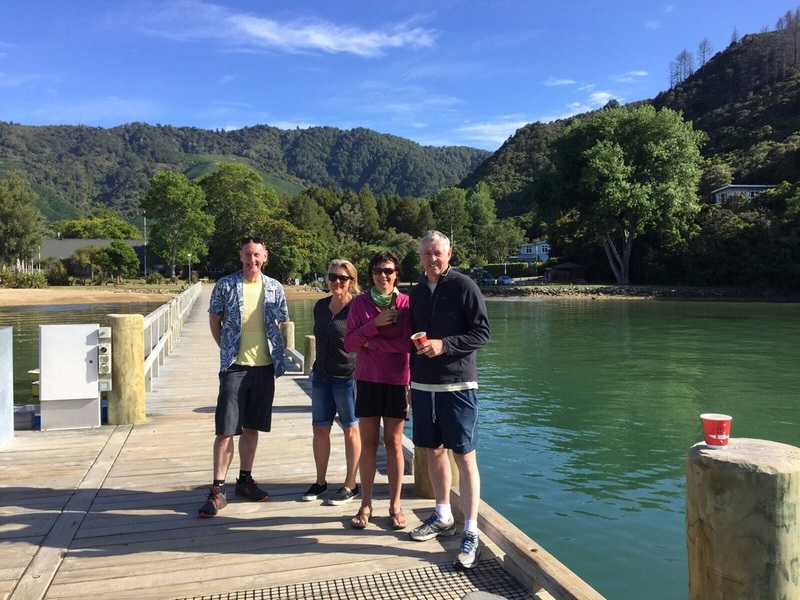 The excitement and joy they shared with me when reaching each milestone of the journey throughout New Zealand meant I never really felt alone. 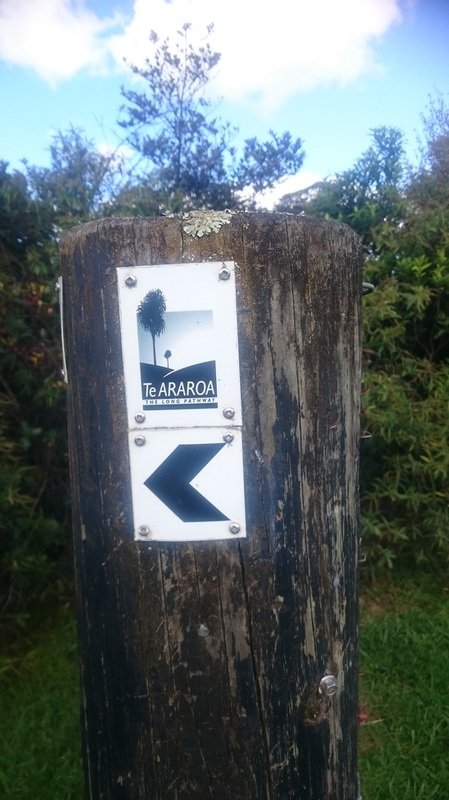 I have thoroughly enjoyed my time out to pursue a personal goal to complete the Te Araroa trail and look forward to the challenges that may lay ahead in years to come. While the 3000km trail has now been walked and finished - the personal, physical and mental boundaries have been forever broadened and I can now see are actually endless. It will never really be over. 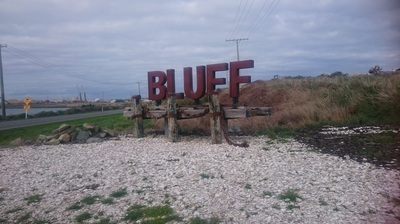 Making it to Bluff on Wednesday was a fantastic milestone to reach not only from a Te Araroa Trail perspective but also symbolic of having reached a place of peace within myself. I feel so content and calm. Watching the sunset on the night I got to Bluff was additional closure on the day and mission I had set myself. A long held dream now something I have actually done. Like any big project there are additions and also catchup pieces to tidy up afterwards. 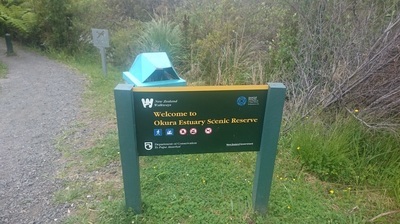 My additional activity is to go to Stewart Island and I'll be heading there on the 5th April. The catchup pieces are when I took a few days out in the North Island for family reasons and I'll be walking those catchup sections from the 11th April. For those interested in how those additional days of walking go I will be updating summaries on my blog over the next few weeks as I go. 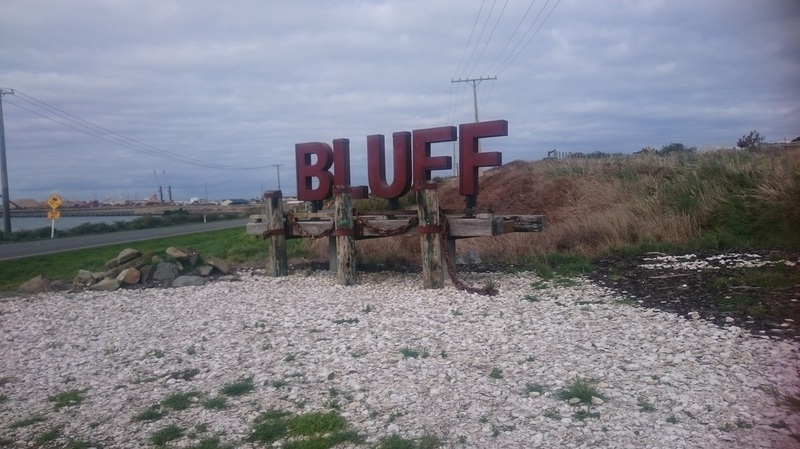 For those of you who will sign off now and finish reading the blog - thankyou for following my adventure from Cape Reinga to Bluff. I hope it has inspired you to look into that big old chest of lifetime dreams that you may have put on hold, dust it off, open it up again and start looking to breath life into making some of those dreams become a reality. Goodbye Canterbury And Hello Otago. Monday 7th March - Feels great to be in Wanaka. It is so developed from when I was here nearly 20 years ago!!! At first it was weird seeing and hearing traffic again, but funny how quickly you can slip back into the buzz of a town. Farewelling the Canterbury section of the trail is quite surreal as it now means I'm down to weeks left on walking Te Araroa. Canterbury was such a wonderful section - everything is on a big large scale - the mountains, the braided rivers, the lakes and the endless brown tussock. While walking through the East Ahuriri track someone ahead of me had laid out in little stones 2500 km so that means that the downhill stretch of 500 km is all there is to go, plus my catch up North Island kms which I will loop back and do from about the 12th April. Amazing how quick it has all been going. For a daily detailed update of the trail walking, check out the Daily Notes section of this blog. 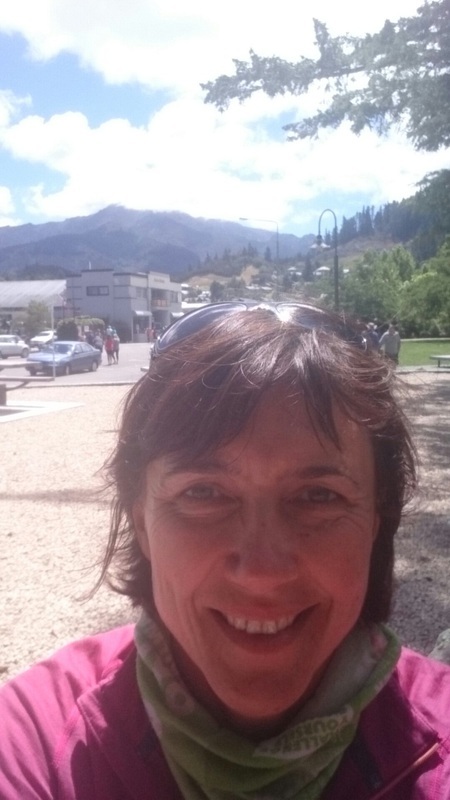 Sunday 31st January - The last day of the month and my last rest day in Hamner Springs before going back on the track late this afternoon. Has been a fantastic month and very satisfying knowing that I've pushed my boundaries out even further and covered off some very challenging sections of the trail and without injury. So stoked. 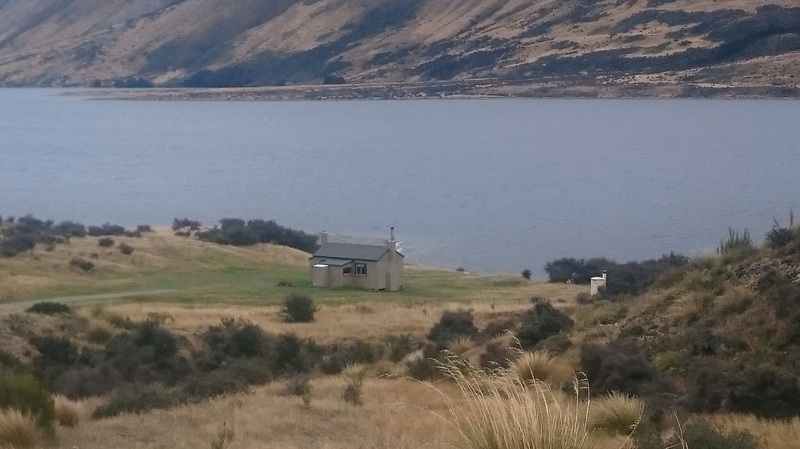 To now have the Richmond Ranges and Waiau Pass completed I feel I have earned some experienced tramper stripes. Some of the hardest tramping but also the most rewarding views. Just beautiful. Heading back on the trail will be the start of the Canterbury Region - bring it on!! For a detailed update of each day check out the Daily Diary tab of this blog. Tuesday 5th Jan - Getting to Island Bay in Wellington last week was such a great milestone to tick off and with it being timed around the end of 2015 it felt very significant too. Having been a very active and personally emotional year it felt wonderful knowing I have the physical and mental strength to complete Te Araroa. Going home and preparing for the next phase of the walk in the South Island was exciting and a new beginning. Everything good and bad about both the year and the North Island section of the walk is behind me now and a fresh new year and new part of the trail is there ready and waiting for me. 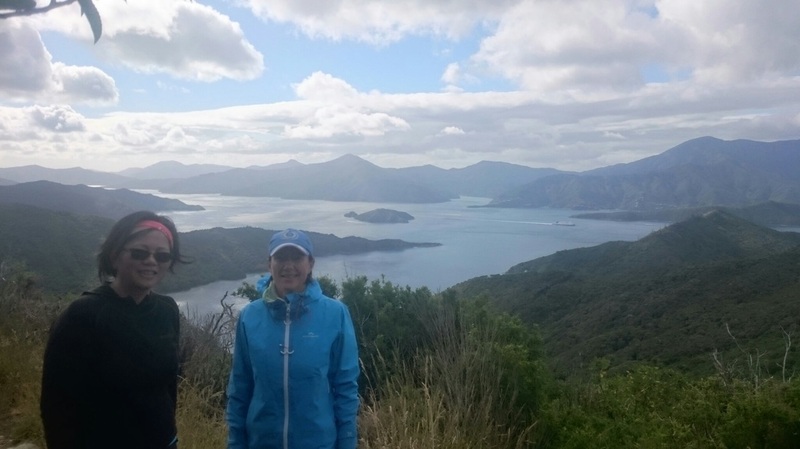 Starting the South Island on the 1st Jan was a perfect beginning to 2016. Having family and friends join me for the start of the section was the icing on the cake. The incredible support I'm getting from everyone is humbling and makes me feel very inspired to push on. For a detailed update on each day's activity check out the Daily Diary tab on this blog. Thursday 10th Dec - The Talking Heads song could not be more real today as I got to the Whanganui River. 'Take me to the river' is very apt to be listening to on the ipod. 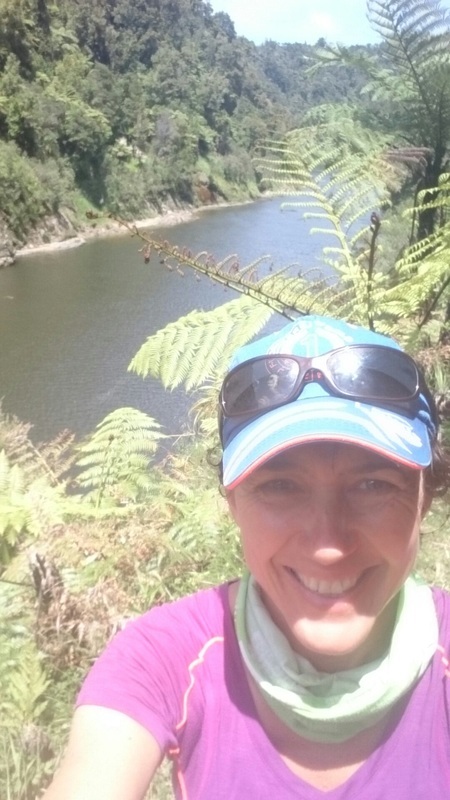 It is hard to believe I was in the mountains a few days walk ago and now enjoying the very peaceful and spiritual Whanganui River. Feels great. For a detailed break down of all my walking days check out the Daily Diary tab in this blog. 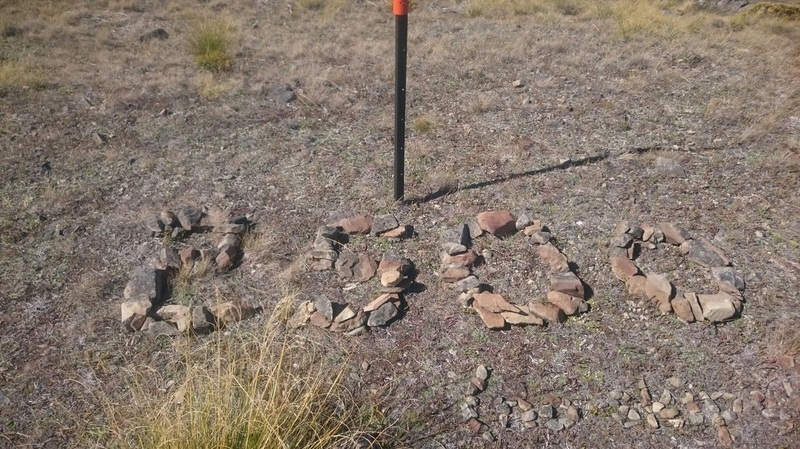 Sat 5th Dec - Crossing the Tongariro got me past my first 1000km mark. Was fortunate to celebrate that milestone with a clear day for views and the company of friends which was a bonus. 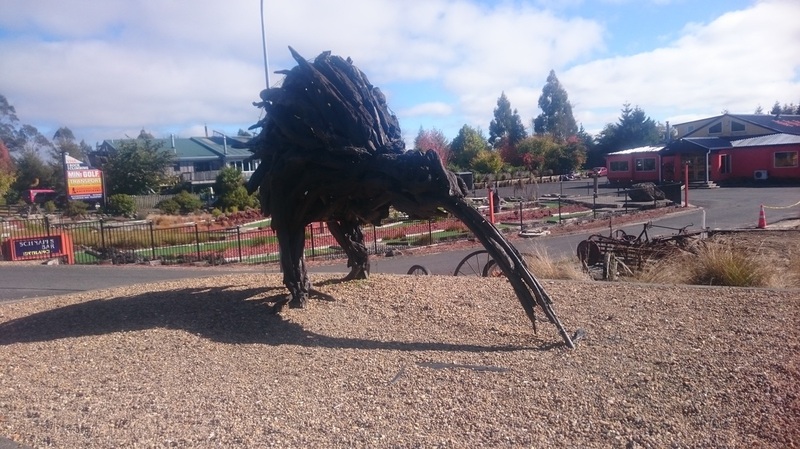 Getting to the mountains was very satisfying and am happy that I've made it too the centre of the North Island after having crossed the Waikato and King Country. I do have a section to loop back and complete in April and am already looking forward to heading back for that see you then Tauramanui!! Check out the daily dairy tab in this blog for the daily overview. 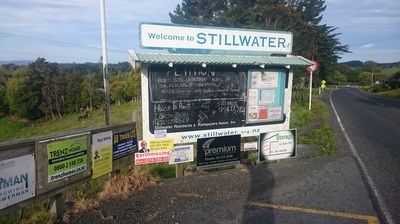 First milestone has been reached where I have walked through Northland and made it to the Auckland region over the last few days. Reflecting on Northland I think it certainly has prepared me for the long walk ahead over the rest of the country as it has presented some very challenging walking - the very long beach walking where water was a huge planning consideration, the steep and muddy forests where physical fitness is a huge factor, and then the isolation and remote sections where being comfortable with your own company helps - plus music! Highlights of Northland for me were the jaw dropping views, catching up with family in Whangarei, and meeting the Te Araroa founder Geoff Chapple randomly along the Mangawhai Cliffs walkway. Walking into Auckland on Sunday was literally walking out of the bush back at Okura in the morning and into the bright evening lights of the city at 10pm. The ferry ride from Devenport that night was a sense of achievement and satisfaction that I had completed a whole region. 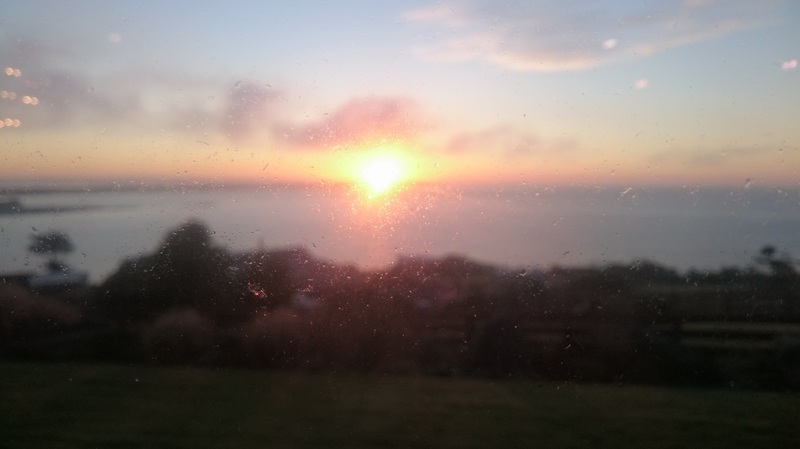 For daily notes of the walking to date - check out the 'Daily Diary' tab in this blog. The next few days I will be taking some time out from walking for family time and attending a funeral and will commence walking again on Thursday from Mercer. I will loop back to complete the Auckland City to Mercer section in April after Stewart Island. The last 5 days have been very challenging. The mud of the Herekino and Raetea forests is just pure slog and slow going. Particularly in the Raetea Forest, when you think it can't get any steeper or muddier - IT DOES!!!! While very beautiful and stunning to see the ancient Kauri's along the way, getting through the forests is tough going and pleased I had boots and gaiters to walk this section as I would have lost a leg in the depths of mud if I didn't have them on I think. 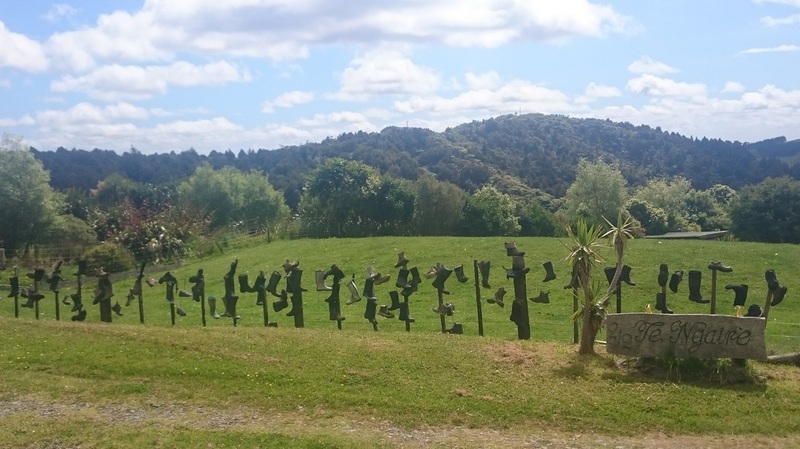 A joy is the Mangamuka Dairy after Raetea forest - they look after Te Araroa walkers, so worth a stop there. Kerikeri is just a picture perfect spot and can see why it is an attractive retirement spot. Happy to have made it to Waitangi. A night's sleep in a comfy bed after a hot bath last night has made me feel human again after a hard slog of walking. Hoping the feet cope with the next section to Helena Bay where I am meeting up with Dad and my Uncle and then having a rest day tomorrow. The 'Daily Diary' tab has more details on each day and I've also re-uploaded my schedule under 'The Trail Plan. First milestone completed - have finished Ninety Mile beach and currently staying at Ahipara. The stretch of beach certainly will have bittersweet memories. The joy of finding firm sand to walk on and get a good walking pace. 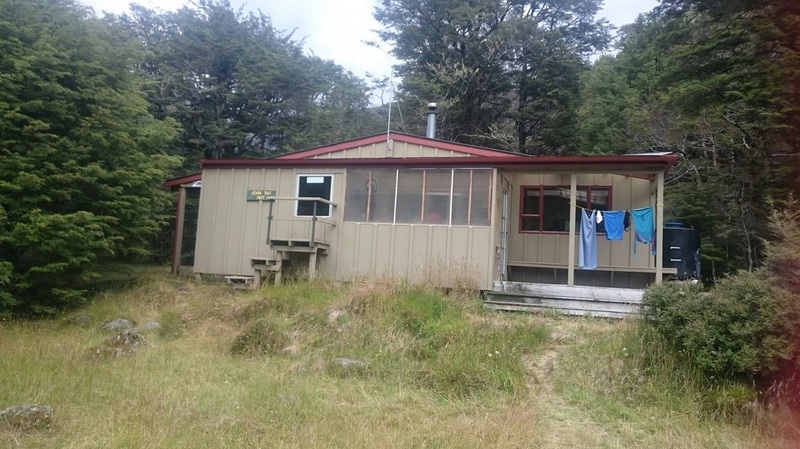 The relentless head wind from Bluff to Hukatere - then the welcoming Oasis of finding Utea Park Campground with water, showers and cabins. Avoiding traffic that motor down the beach - including sandcarts with sails. Seeing weird stuff that gets washed up onto the beach. The solitude, then the company at the end of the day. The sun, then the rainy day, then the sun again. Friendly characters who are keen to showcase the far north, and of course the 80's music on my ipod saved down about 8 years ago that got me boogying through some tough soft sand days - thanks Talking Heads, Madonna, Michael Jackson, Billy Joel and Annie Lennox. For a more detailed break down of each day - check out my Daily Diary tab on this blog. 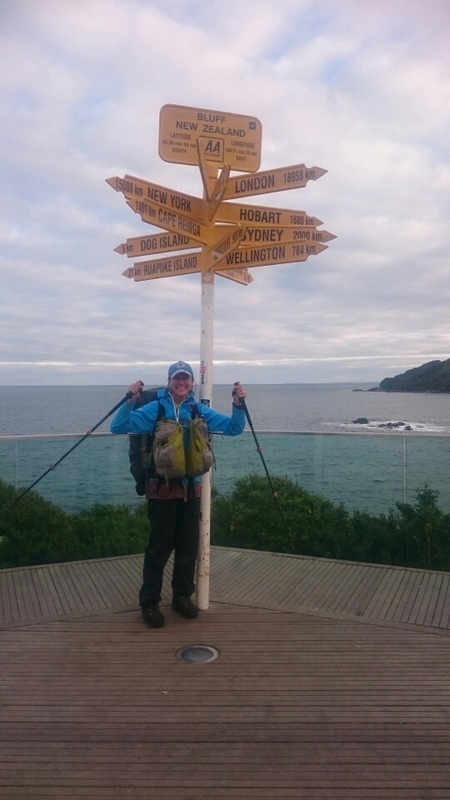 I'm Sophia Lewis and 2015 is the year I am going to commence walking the NZ Te Araroa Trail. This blog will track my progress from Cape Reinga to Bluff + Stewart Island. I start walking on the 23rd Oct and plan to finish mid April.